This can apply to adding structure to creative work, or processing feeling feelings. Finding even the smallest bit of beautiful structure can help. When a feeling is big, sometimes you have to build a structure to hold it first. Thing 2: maybe a winding road for me. 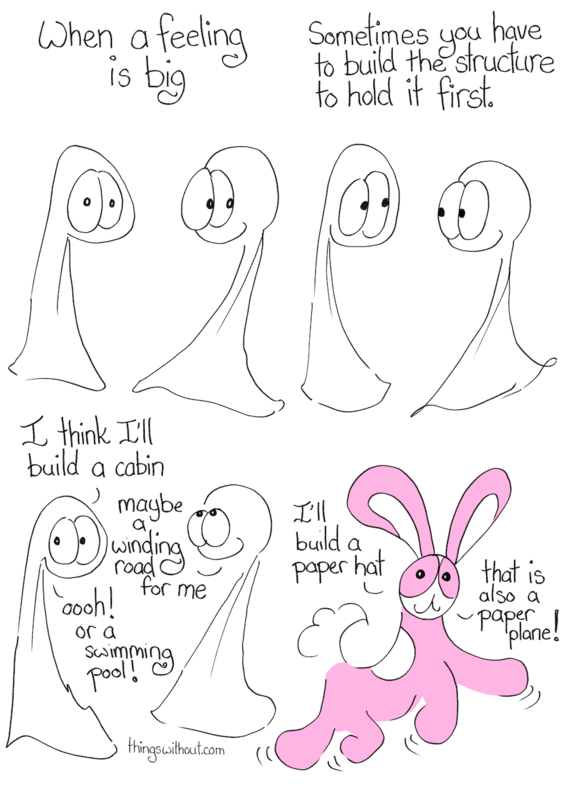 Bunson: I’ll build a paper hat… that is also a paper plane!